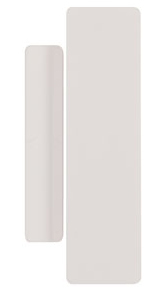 The STI-3551 is an additional wireless transmitter and magnet to monitor doors. Requires STI-3353 wireless receiver. Additional transmitter and magnet to help monitor doors. Alarm or chime sounds when transmitter and magnet are separated. Uses a 6 volt alkaline battery (installed) and has 32 frequency codes to help reduce interference. There are ten selectable sounds (with the push of a button) on each transmitter. To purchase the transmitter and receiver together, see the STI-3360 Entry Alert® Chime. The first time I purchased the wireless transmitter I was so pleased with how well they worked I made a second purchase to make sure all of my doors were protected. Exactly as advertised, very easy to install, outstanding range. I highly recommend this transmitter.